However, like understanding many ethnic customs, it is never as easy as it seems. While keeping kosher is mandated in the Torah, the specific details and customs are a combination of Rabbinic decrees and Tradition, passed from one generation to another. This produced a range of subjective interpretation, with a variety of regional customs. The problem lies in understanding the kosher lifestyle. At Dream Kitchens we know that the lives of Traditional or Orthodox Jews typically revolve around the observance of the Sabbath and the Festivals, and the family dynamic. 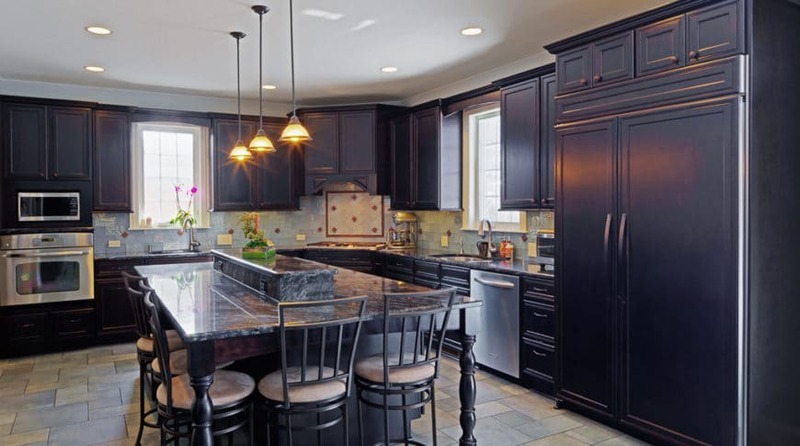 Each has social and culinary customs that dictate how the kitchen needs to be designed. For example, it is not uncommon to serve a multi-course meal with several guests in celebration of the Sabbath each week. So the kitchen needs to be flexible enough to handle the weekday requirements as any other kitchen, but still be able to prepare a Thanksgiving-style meal on a weekly basis. 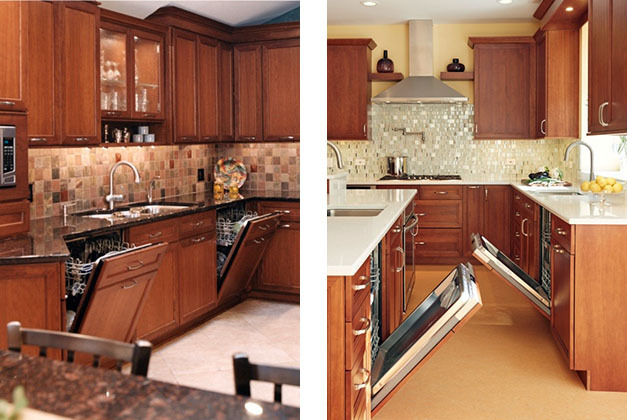 When designing a kosher kitchen, we work with variables such as available space, resources, and how strictly our client adheres to the laws of keeping kosher. We find the balance between the “minimal requirements” and the add-ons that would include every ideal feature-short of building two separate kitchens (which some people do). In its simplest form, a kosher kitchen must have sufficient storage to handle a full set of dairy and meat silverware, pots, pans, dishes, and utensils, a two-compartment sink and two ovens. If space does not allow for two dishwashers, most clients will opt for one designated to handle meat dishes and utensils, since they typically represent the largest meals with the most cleanup. There needs to be plenty of countertop space to prepare large meals with areas designated specifically for dairy and meat. One way to accomplish this, is by placing ovens under-counter. If space allows, the next “upgrade” would be completely separate sinks. This addition usually can include that second dishwasher for the dairy dishes. A double-drawer dishwasher can accomplish this in the space of one for a smaller family. A compromise to two sinks is a three-compartment sink with a ‘traif’ (non-kosher) sink in between. One also needs to take into account food that is neither meat nor milk. With even more space, a third, neutral category, Parve (fruits, vegetables, and strangely, eggs) is a great luxury in a kosher kitchen. This can be accommodated with storage space for utensils, mixing bowls, even a prep sink or small combi/steam oven, and some counter space. This is especially helpful in making salads and baked goods that can be eaten with either a Dairy or Meat meal. Foods that are stored dry or cold can be stored together, although some clients with a larger kitchen will want two refrigerators, so that the work triangles are kept to a reasonable distance. Separate sinks – double bowl, triple bowl, or two separate sinks. Dishwasher – one or two. Cutlery and utensil drawers – double or an extra for parve. Separate pot and dish storage with at least one for parve. When designing a kosher kitchen we pay careful attention to detail. We understand the needs and jargon of this lifestyle and make our kosher clients feel more comfortable with the design process. Whatever the level of Observation, the Designers at Dream Kitchens can help our clients design that perfect Kosher Dream Kitchen!